The San Diego Bonsai Club is one of the oldest clubs in the state of California. It was founded in 1965 as a non-profit California 501(c)(3) organization. Our mission is to provide our members with a forum to exchange information, learn, teach and promote the art of bonsai through lectures, classes, workshops, demonstrations, field trips. As part of our goal of creating bonsai awareness and sharing the beauty of the art, the San Diego Bonsai Club developed and is maintaining a beautiful Bonsai Pavilion at the San Diego Zoo Safari Park and is also maintaining the bonsai collection at the Japanese Friendship Garden in Balboa Park. An SDBC member is the volunteer curator for each collection. Meetings are held at the Casa del Prado building in Balboa Park on the second Sunday of each month at 10:30AM except May and October. In May, the club members meet at the San Diego Safari Park for a program and picnic. In October, members meet for another picnic and fundraiser auction. All meetings are kept brief so the club members can participate in the many varied programs on each month's calendar. Demonstrations by visiting bonsai master, lectures, critiques, and workshops cover subjects of styling of trees, potting, transplanting, wiring, fertilizing, soils, insect control, and water management. SDBC also maintains a monthly sales table at the meetings for convenience of the members with books, tools, and related bonsai accessories. Classes at the beginning and intermediate levels are usually offered prior to meetings at 8:30AM although they are sometimes scheduled following the meeting. The Bonsai Library of bonsai materials including videos, books, periodicals, magazines, pamphlets, and articles is owned by SDBC. Field Trips are included in each year's calendar for members to view other bonsai collections, participate in bonsai programs, visit forest habitats, and shop for bonsai stock and materials. Spring & Fall Bonsai Shows are sponsored by the club each year where members present their bonsai for viewing by the public. Special featured programs are held on both the Saturday and Sunday during the show where members have the opportunity to sell bonsai, bonsai stock, bonsai pots, and other accessories during show hours. Grants and Scholarships are offered to members through SDBC's Mas Takanashi Education Scholarship Program annually. Candidates receive one-on-one training with club bonsai teachers to further advance their bonsai knowledge with the goal of expanding the club's cadre of teachers. Under the auspices of the Golden State Bonsai Federation, members are also afforded additional scholarship opportunities. The San Diego Bonsai Club is a member of the Golden State Bonsai Federation, the Japanese Friendship Garden, American Bonsai Society, Bonsai Clubs International, and the San Diego Botanical Association. The club has liaison relationships with the San Diego Zoological Association/Safari Park and the Del Mar Fair. 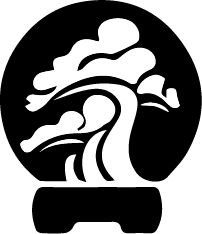 Through the Golden State Bonsai Federation, the San Diego Bonsai Club has insurance protection for the organization and its members. The Board officers are covered by liability insurance.